The CBJ is an excellent show, albeit it terrified me for years due to the talking heads on the wall. But The music is actually pretty silly, and gets stuck in your head. It fits very well in this area of the park and a good alternative if your not into the horseshoe review. Its one of those attractions that help to make the adventure feel like one. You take in the show ride the steamboat, see the review you start to get an (cleaner) old west town feeling right away. As a Kid (after getting over my fear by "meeting" the heads in the saloon next door) I'd pretend to be a cowgirl about to brave thunder mt. but taking in the town first. (I had a story for every land and park). The animatronics although dated, are classic disney, and irreplaceable. Its also air conditioned, relaxing, and happy. If the kids don't have my childhood fears It's perfect for them. Most songs are either old country songs or renditions of them changed for bears. I liked this show - it's definitely not my favorite, not even close. But it's entertaining enough to keep your attention throughout. If you've never seen it, definitely check it out, but I don't think it's the kind of thing you need to do every time you go. This show is my childhood. I swear the Country Bear Jamboree has always been a tradition to visit once during my Walt Disney World vacations! Now as a regular (visiting WDW almost 5 times a month) I haven't really visited the Jamboree in a while. So I decided to see the show. It was even better! It's one of those rides that grow on you when you grow up. The Country Bears holds a special place in my heart. Hopefully this attraction will never leave, and I really do hope they bring back the Christmas special! The Bears never get old!! 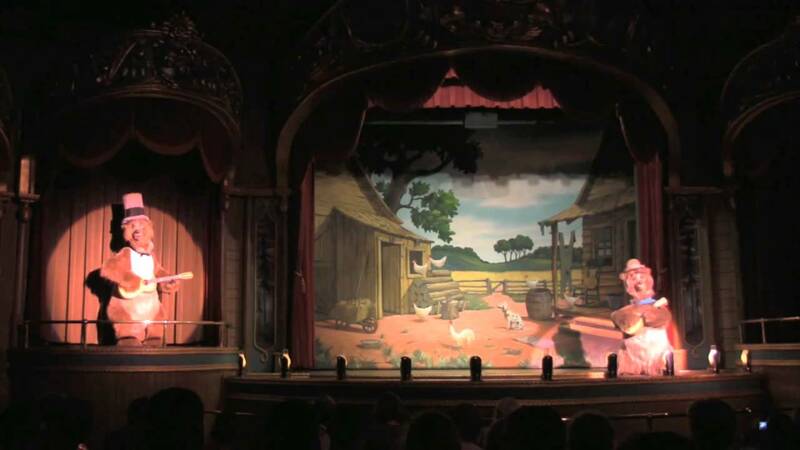 The Country Bear Jamboree is an Audio-Animatronic stage show presented in Frontierland at the Magic Kingdom. Performed in Grizzly Hall, The Country Bear Jamboree was an opening day attraction for the Magic Kingdom on 1 October 1971. Opening Date: 1 October 1971. Show Duration: 15 minutes, 55 seconds. Animatronics: 18 Bears, 1 Raccoon, 1 Buffalo head, 1 Stag head, 1 Moose head. Five Bear Rugs: (Zeke, Zeb, Ted, Fred, Tennessee, Oscar) voiced by Stoneman Family. Zeke voiced by Randy Sparks (replaced Dallas McKennan in July 1975). Country Bear Jamboree became the Country Bear Vacation Hoedown on 1 February 1986. The original show returned on 1 February 1992. 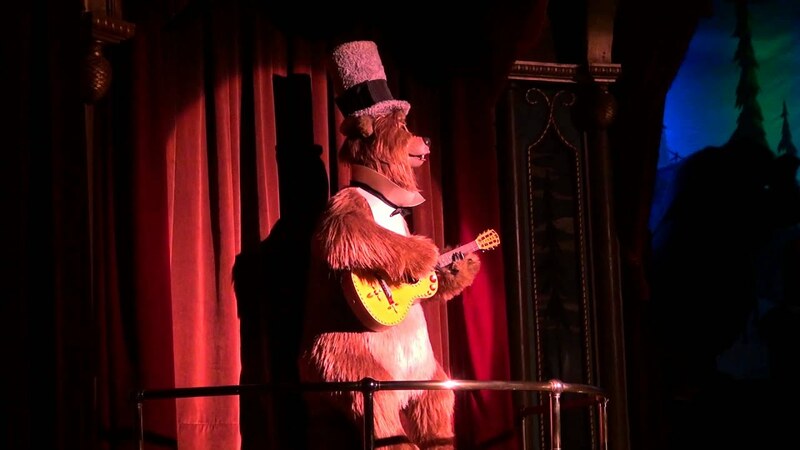 Country Bear Jamboree held Christmas Special performances from 1984 to 2006.